Salesforce [NYSE :CRM ], the global leader in CRM, announced today its next generation of low-code tools for companies to build apps faster. Customers and employees today expect apps with the design and performance of consumer brands. But with developers in short supply, companies are turning to the Salesforce Lightning Platform and AppExchange for low-code tools that empower IT and business users to create intelligent, connected experiences without building from scratch. According to a recent IDC study, organizations building on the Salesforce Lightning Platform saw a return on investment of 545 percent over five years. Furthermore, IDC found business users gained productivity and revenue benefits totaling $8.82 million per organization surveyed – including 63 percent faster lifecycles for app development. Lightning Object Creator is a new platform service that allows anyone to turn spreadsheets into modern apps with clicks, not code. For example, salespeople at a car dealership once had to enter customer information from paper test drive forms into spreadsheets – an error-prone, labor-intensive process. Those teams can now drag and drop spreadsheets into the Object Creator, review data fields for accuracy (e.g., car makes and models) and publish a digital form, available on desktop or mobile. 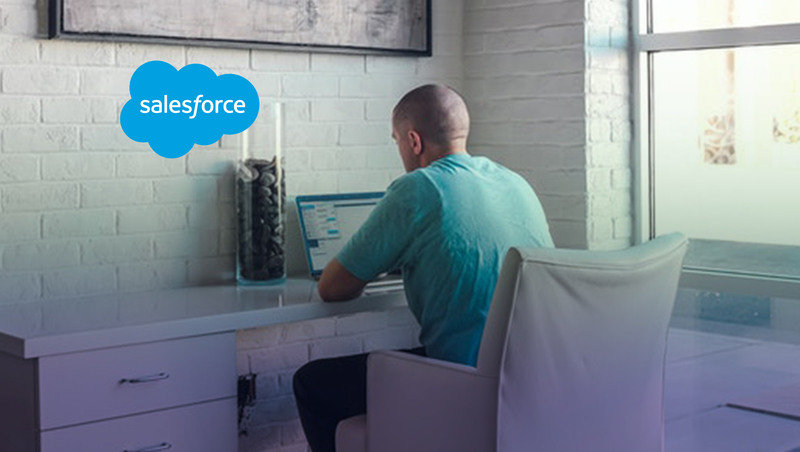 In Salesforce, users can further analyze the data or add it to existing records with support for Search, Notes or Files within Salesforce – extending the power of that customer’s CRM deployment. Lightning Flow Builder is a new low-code tool that empowers business users of any developer skill level to automate processes for customer or employee experiences (e.g., manage an insurance claim). Based on the Lightning Design System, the Lightning Flow Builder is elegant, efficient and easy to use – with simplified toolboxes that seamlessly find workflow elements connected to customer records. In addition, new Flow Actions – pre-built, reusable components for industries and specific use cases – add powerful new layers to automated business processes, including the ability to accept credit card payments or add a video player. Admins also have the option to use Einstein Next Best Action to recommend flows, leveraging the power of rules-based and predictive models to provide sales, service and marketing agents with intelligent, contextual recommendations for customers. With Lightning Flow Builder, the same car dealership above can create a flow that takes both staff and prospective buyers through a step-by-step process to configure (i.e., color, make and model) and purchase a new car. Einstein Next Best Action guides the sale based on details from the test drive, customer history and more to suggest incentives that would help close the sale – e.g., offers for free maintenance or extended warranty. Meanwhile, Flow Actions throughout allow the salesperson to enhance their customer interaction at relevant points within the workflow, with access to marketing videos, industry data and even the ability to take payment on the show floor.